The Gucci Fall 2013 menswear collection is a symbiotic fusion of bold colors, crisp cuts and textured layers. Gucci menswear is luxurious and caters to men with impeccable taste.The decadent Fall 2013 series is undoubtedly a triumph. The fantastic collection features a bold concoction of colors brought to life with textural elements and bold silhouettes. The line-up is filled with tailored suits, coats and blazers. Miuccia Prada has described this collection as “raw elegance”. The Fall 2013 Collection presented a variety of bowler bags and clutches in different materials. The bags, as well as the clothes are mostly made of checkered prints, vintage leather and thick tweeds. MBMJ embodies the youthful and playful spirit of Marc Jacobs’s signature style, with fun and colorful ready-to-wear, shoes, bags,jewelry and tech accessories. 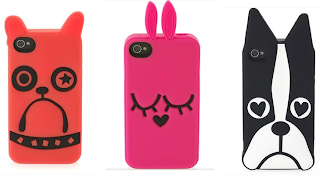 Give your gadgets a make-over with the eclectic styles of any iphone case, laptop case, or ipad case. Made with only high-quality materials, you will love protecting your electronics with the endless selection of Marc by Marc Jacobs tech cases.